You know that Internet meme about the two books that contain the sum of all human knowledge? Using these two articles about Apple’s 2017 iPhone lineup, we can similarly show how you shouldn’t buy any of them. Writing for Quartz, Itika Sharma Punit says the iPhone X means it’s time to put your money where your body’s filtering system is. The iPhone X is crazy expensive! You will literally be forced to choose between vital organs and checking Twitter! So… choose wisely. The Macalope’s kind of on the fence, really. I mean, what’s the Macalope’s kidney done for him lately? On the other hand, checking Twitter isn’t good for his heart these days. He might just be doing twice the damage. One kidney: That’s what a Washington DC-based Indian-origin scientist thinks Apple’s newest gadget is worth in India. The joke wouldn’t be lost on his countrymen who’ll have to shell out up to Rs1,02,000 ($1,594) for the company’s newest gadgets. Of course, there are many other things that are about as expensive as a kidney that aren’t just other equally important organs or made by Apple. Like an entry-level Surface Book. But we don’t talk about kidneys when those come out. And at the same time Apple has introduced the world’s only expensive smartphone, it has what is surely its best low-cost iPhone offering ever in the $349 iPhone SE. The SE isn’t the latest and greatest, of course, but it’s also not something as overly hobbled as, say, when Apple sold an 8 GB iPhone 5C at the same price point in 2014. So, the iPhone X is ridiculously expensive! We get that. Meanwhile, across Crazytown over at Engadget, the iPhone 8 is a loserphone for stupid dummies. Get the X, duh! Uh… you only have one kidney, the Macalope guesses? Again, it’s hard to keep up on all the overwrought arguments about this smartphone. …when you already own a smartphone that is perfectly fine, shouldn’t you upgrade when a phone is capable of much more? Yes. Capability is very important. Which is why it’s so weird you seem to completely dismiss it in the next paragraph. At a time when Samsung has been pushing its own gorgeous bezel-less phones, and even smartphone startups are in on the trend, the iPhone 8 already looks dated. The iPhone 6 came out in 2014—a glass-backed makeover doesn’t change much. When you only look at the looks of the phone, does it not make sense to wait until the looks of the phone change significantly? Indeed. A lot has changed on the inside of the iPhone from the 6 to the 8. Seems like some people might want to take advantage of those changes. But you know how kids are. You buy them a nice present and then they just want to play with the box. So, what have we learned? That the iPhone X is prohibitively expensive unless you’re some kind of 8-kidneyed genetic mutation and there’s no point in getting the iPhone 8 because, duh, the X is the only one to get. 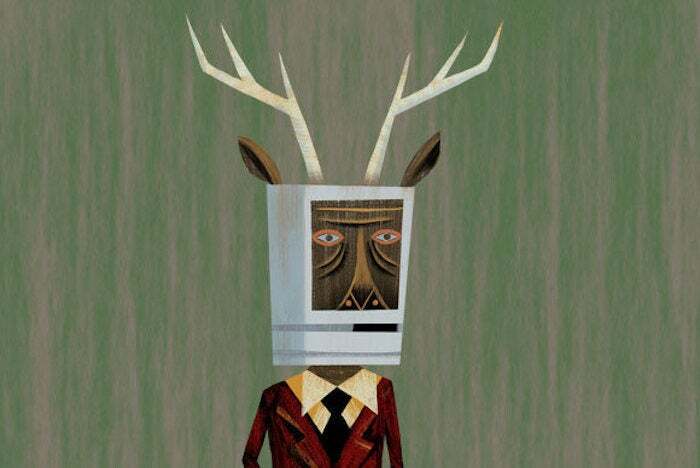 For the record, that’s not why the Macalope is sticking with his iPhone SE. It’s because his cleft hooves can’t reach the upper corners of these big phones. He’s holding out for a 3.5-inch iPhone Classic, coming in spring, 2028. That’s where the smart money is.